Provide comfort for the family of Kenneth Potts with a meaningful gesture of sympathy. Kenneth was born Jan. 20, 1941 in Tipton, MO to Aubrey M. and Grace (Parker) Potts. He grew up in Olathe where he graduated from Olathe High School. Kenneth married Virginia Cunningham on March 1, 1976 in Olathe, KS. They moved to De Soto in 1993. 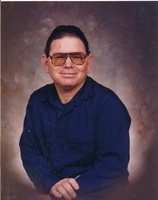 Kenneth was a supervisor for Deffenbaugh, Inc. for 47 years. He was a member of Faith Baptist Church, Olathe, KS. Kenneth liked to do small engine repair work and enjoyed his “Westerns” on TV. He will be missed by family and friends. He was preceded in death by his parents; sisters: Peggy Heimer and Margie Potts. Kenneth is survived by Virginia his wife of 43 years; sons: Kenneth M. Potts, Jr., Olathe, KS and Ronald Wayne Potts; Ottawa, KS; daughter, Michelle Huntley, Olathe, KS; siblings: Delano Potts, Leslie Potts and Mary Lou Goodwin; three grandchildren: Katlyn, Jennifer and Tasha and four great-grandchildren. Provide comfort for the family of Kenneth Martin Potts Sr. by sending flowers. May the family of Kenneth Martin Potts please accept my sincere condolences hoping you find comfort in God's words at Acts 24:15 and Psalm 37:29.